Yo, Dubliners. It's Friday 13th, great time to get scared by proper heavy bass and broken beat. 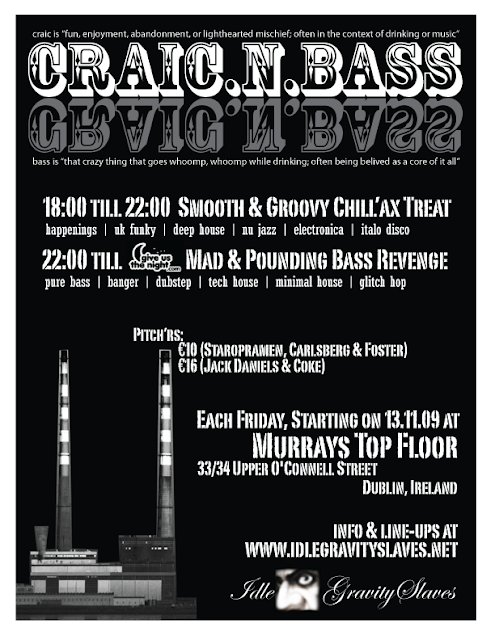 On behalf of the Idle Gravity Slaves crew let me invite you to the new regular nite in Dub City, a double feature treat taking place tonite @ Murrays Top Floor (33/34 Upper O'Connel Street). And then regularly every Friday. 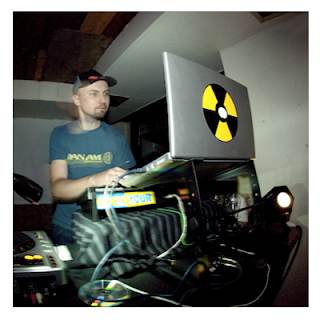 My brother (Boytek Smitchuk), who currently lives in Dublin, with the support of heavy-weight members of his crew will start chilling you from 6 p.m. just to prepare you for a 10 p.m. head-on dive into the deepest pits of heavy bass hell. You know you can't miss such an opportunity. You better remember this name and tell others that the notorious Dk Krank was the guy from whom you learnt about this new, successfull (I hope) regular event in your beautiful city. Roight?? 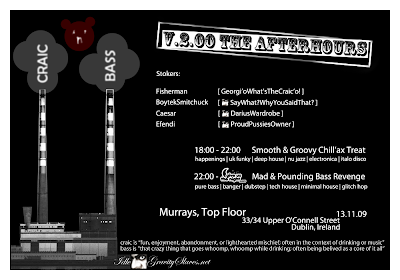 Craic 'n bass boys and girls!! !